Reconstruction of the Metrorail system will continue over the weekend of May 8-10 with track work and service adjustments on four of six rail lines. 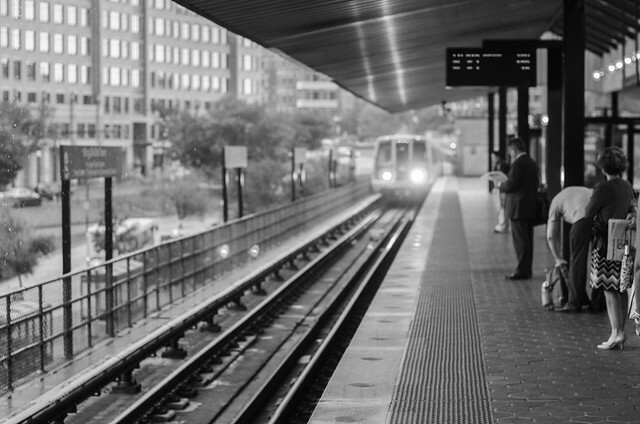 This weekend, Red, Silver and Green line trains will operate at regular intervals. Orange, Blue and Yellow line trains will operate every 18 minutes with Yellow Line trains operating between Huntington and Mt. Vernon Square only. Blue Line trains will operate every 18 minutes throughout the weekend. Blue Line trains will share one track between Braddock Road and Ronald Reagan Washington National Airport to allow for joint elimination, track fastener and insulator renewal for a safer ride. Yellow Line trains will operate every 18 minutes between Huntington and Mt. Vernon Square only. Customers traveling to/from stations north of Mt. Vernon Square should use a Green Line train to complete your trip. Yellow Line trains will share one track between Braddock Road and Ronald Reagan Washington National Airport to allow for joint elimination, track fastener and insulator renewal for a safer ride. Green Line trains will share one track between College Park and Greenbelt to allow for continued construction of our test track to accept Metro’s new fleet of 7000-series railcars.